2015 was an exciting and fruitful year. We saw public access to information and universal internet access included in the United Nations 2030 Agenda for Sustainable Development, which was adopted by world leaders in September. In November, at its 10th annual meeting in Brazil, the influential Internet Governance Forum expressed support for libraries as centres for public internet access. These developments show that EIFL’s mission is important. They are encouraging for all our programmes, which work to reduce barriers of access to information and knowledge in developing and transition economy countries. During the year, the EIFL Public Library innovation Programme built the ICT skills of public librarians in Ghana, Kenya and Uganda. The newly-trained librarians then went on to train community members to use computers and the internet, helping them to find information online. Through the EIFL Open Access Programme we were able to unlock unique research and knowledge generated in developing and transition economy countries by supporting the launch of over 100 new open access repositories. Support by the EIFL Copyright and Libraries Programme led to ratification of the Marrakesh Treaty in Mongolia – bringing us closer to ending the ‘book famine’ (the lack of access to published in-copyright works) for blind and visually impaired people everywhere. During the year, the number of agreements that the EIFL Licensing Programme negotiated with commercial publishers grew to 57, allowing us to offer access to more journals, e-books, reference works and databases at affordable prices through EIFL partner library consortia. In this report we share with you stories from some of the many people who have benefited from our work. Thank you to everyone who makes our work possible: our partners and funders; our board members, and our enthusiastic and committed staff. I look forward to continuing our contribution to a world in which all people have the knowledge they need to achieve their full potential. In 2015, EIFL reached over 9,000,000 people. In 2015, EIFL reached over 2,300 libraries. In 2015 EIFL partnered with 47 library consortia. 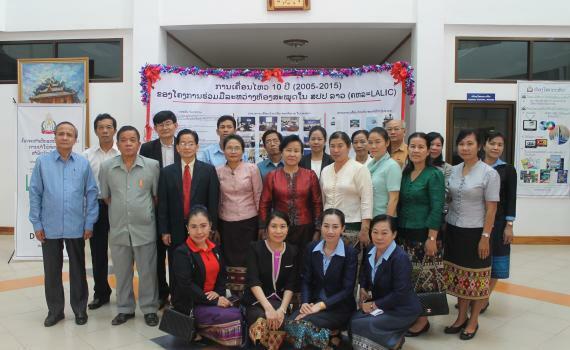 Representatives of the Laos Library and Information Consortium (LALIC) at their annual meeting in December 2015. EIFL works to expand access to knowledge in a cost effective and sustainable way by supporting the establishment and development of strong national library consortia. Many of the library consortia have received start-up grants from EIFL, and all have benefited from our consortium management training, consultancy and support services. HAPPY 10TH BIRTHDAY TO LIBRARY CONSORTIA IN LAOS, PALESTINE AND SENEGAL! In 2015, EIFL partner library consortia in three countries – Laos, Palestine and Senegal – celebrated their 10th anniversaries. Laos Library and Information Consortium (LALIC) celebrated its 10th anniversary at its 2015 annual meeting by giving member libraries the opportunity to present their achievements from the past 10 years. When LALIC started out, with just 12 members, the situation for university libraries could be summed up in one word: ‘lack’. There was an almost total lack of everything that libraries - and their users - needed to enter the digital world: the skills to use e-resources; funding for library development and ICT infrastructure; collaboration between libraries; information literacy skills. Now, after 10 years, LALIC is a registered organization approved by the Lao Government, with 20 members, including university libraries, research libraries, college and polytechnic libraries, public libraries and the National Library of Laos. 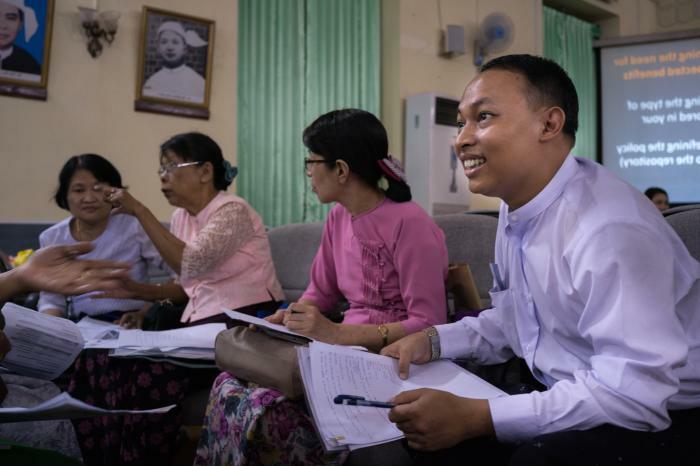 LALIC’s training has given hundreds of librarians, academics and students the skills and confidence to use digital technology; to conduct online research, and to use e-libraries and online databases to their full potential. LALIC vigorously promotes the e-resources that its member universities have access to through the EIFL Licensing Programme, and there is ongoing demand for e-resources training, especially from young researchers and students. Some big challenges remain. In Laos, many universities and research institutes struggle with slow connectivity. Many do not have their own IP addresses - a stumbling block to licensing e-resources. There is an urgent need to upgrade librarians’ digital skills further, to improve services. However, the energy to go forward is strong, and LALIC has some exciting plans to overcome these challenges. We wish LALIC continued success in the years ahead! The Palestine Library and Information Consortium (PALICO) marked their 10th anniversary in May 2015 with a series of events celebrating successful participation in EIFL programmes. EIFL Director Rima Kupryte joined PALICO’s 10-year celebrations in Birzeit, and remembered her visit to Gaza and West Bank in 2005, when she attended PALICO’s launch meeting: “There was so much energy. During that meeting the baby was born. I am so pleased to see that despite political challenges, the library community has stayed together for the past 10 years,” she said. “Ten years ago EIFL reached out to us with a helping hand. This grew into a strong partnership that has benefited education and research in Palestine,” said Diana Sayej Naser, EIFL’s country coordinator in Palestine. Before the creation of the consortium, high prices of subscriptions meant libraries could not afford e-resources, and library users had to depend solely on a limited range of printed materials. Today, PALICO’s membership comprises 16 university, college and polytechnic libraries that, through the EIFL Licensing Programme, can offer e-journals, e-books and databases to the academic community. PALICO has established itself as a reputable professional body. The Ministry of Higher Education has recognized the importance of the consortium’s work in providing access to quality information for education and research, allocated special funds for e-resource subscriptions in 2014 and 2015. The volatile political and social situation in Palestine means that PALICO faces many challenges; however, PALICO is confident and has strong plans for the future. We wish PALICO continued success in the years ahead! The Senegalese Library Consortium, COBESS, celebrated a decade of improving access to knowledge with a gala event in Dakar, Senegal's capital city. Over the past 10 years, COBESS (Consortium des Bibliothèques de l’Enseignement Supérieur de Senegal) has become a leading advocate for open access to research, increased access to e-resources and for improved national and international copyright laws for libraries. COBESS has valued EIFL's support over the years: “Support from EIFL has been crucial to COBESS in many areas, including training of librarians and researchers, open access and copyright. We also especially appreciate how EIFL has enabled us connect with our fellow librarians from across the world through the annual EIFL General Assembly,” said Youssoupha Gueye, EIFL Country Coordinator in Senegal. In 2005 there were only two public universities in Senegal, in the cities of Dakar and St Louis. Access to scientific journals and research publications was scarce, and access to e-resources was almost non-existent. A small group of library professionals decided it was time to overcome these challenges by creating a consortium through which libraries could jointly develop and implement library and documentation policy that would lead to improved access to e-resources in the higher education and research sectors. Their efforts led to the creation of COBESS. The new consortium started with libraries from just the two existing public universities as members. Today there are five public universities in Senegal, in addition to colleges and research institutes, and COBESS has 28 member libraries and institutions. COBESS has made important gains. Through the EIFL Licensing Programme, teachers, researchers and students at COBESS’s 28 member libraries and institutions have free access to 14 online databases and many journals covering all major academic disciplines, including medicine, science, finance, and humanities. Two COBESS members - the Institut Africain de Développement Economique et de Planification and Université Cheikh Anta Diop de Dakar - have launched open access institutional repositories with COBESS’s support and encouragement. COBESS’s training in the area of copyright has led to a dynamic advocacy campaign for ratification of the Marrakesh Treaty by the government of Senegal. We wish COBESS continued success in the years ahead! Using knowledge to change their lives and the lives of others. Meet COBAC – the Bibliothèques Académiques du Congo – the newest member of EIFL’s global network of 47 library consortia. COBAC was launched in June 2015 after two years of consultation with the EIFL team and support from other EIFL partner library consortia. 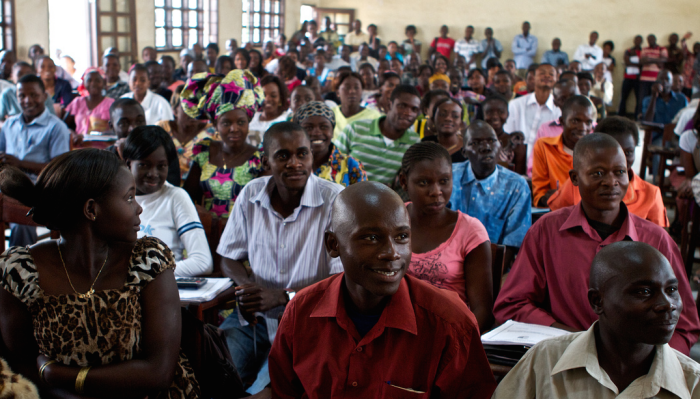 The new consortium represents 16 university and college libraries from Ituri District and North Kivu region of DRC. One of the first decisions of the new COBAC Board was to join the EIFL network. This means that COBAC’s member libraries can take advantage of special agreements EIFL has negotiated with over 20 publishers. The agreements provide EIFL partner consortia access – free or at substantially reduced prices – to 57 high-quality commercial e-resources. The e-resources include e-journals, e-books, reference works and aggregated databases covering a broad range of subject areas, all of which are essential for research and education. “We have been waiting for this opportunity for a very long time. The new e-resources mark the beginning of a new era for research in our country,” said Professor Bungishabaku Katho, President, Shalom University of Bunia. This connection with EIFL through COBAC is definitely a turning point for our institutions, and thousands of students, teachers and researchers in our region. In 2015 students and researchers downloaded more than 5 million full-text journal articles and e-book chapters across the EIFL network. In 2015 libraries saved over 204 million US dollars through EIFL-negotiated deals with publishers. In 2015 the average discount EIFL negotiated with publishers was 98%. 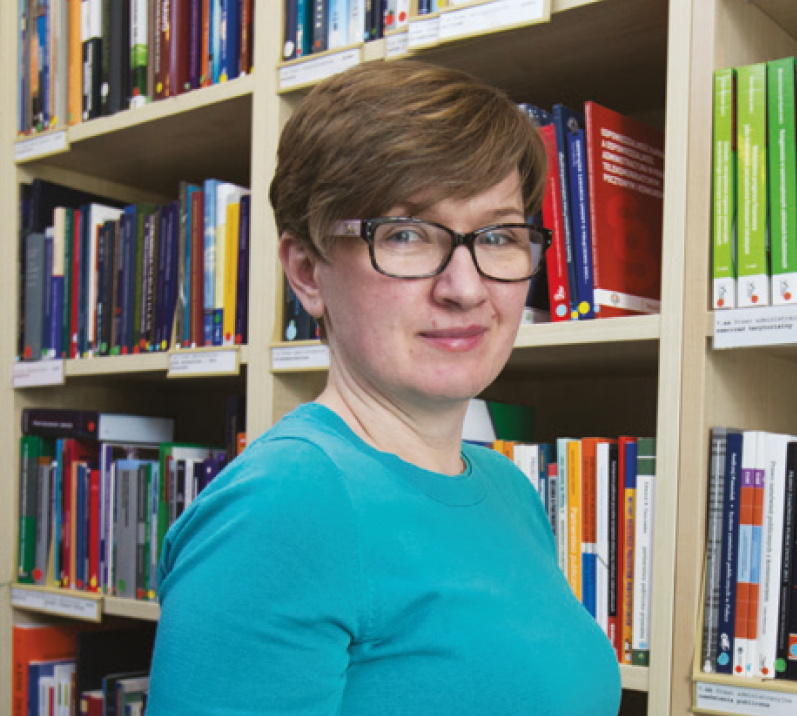 Barbara Szczepanska is passionate about modernizing copyright law so that libraries are better able to serve people’s information needs. 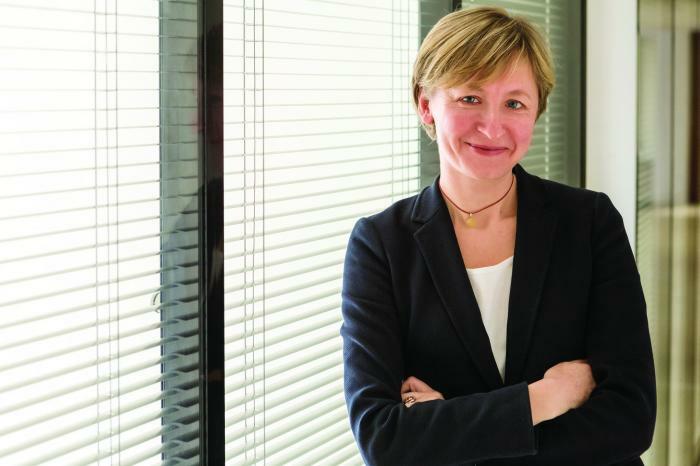 Therefore she has willingly given her time to managing an EIFL project supporting reform of Poland’s copyright law. Barbara was at the forefront in ensuring that the interests of libraries and library users were fully represented in the law review process. This work bore fruit in November 2015 when the new Polish Copyright Act was adopted. The new law enables libraries to digitize material for socially beneficial purposes, such as education. “In the past researchers put pressure on librarians to digitize materials to support their teaching, and librarians were not certain that what they were doing was right,” said Barbara. “The new law also means that libraries can now digitize content for virtual learning environments, and place it in closed networks for use by students, researchers and teachers. This is a fantastic provision that makes distance education possible. Now I am travelling across the country, training librarians so that they understand the new law and how it has expanded access to knowledge,” she said. The new law gives librarians certainty, and the security that what they are doing is now legal. Tsengel manages Ulaanbaatar Public Library’s accessible publication service, which converts books from print into digital accessible formats for blind and visually impaired people. 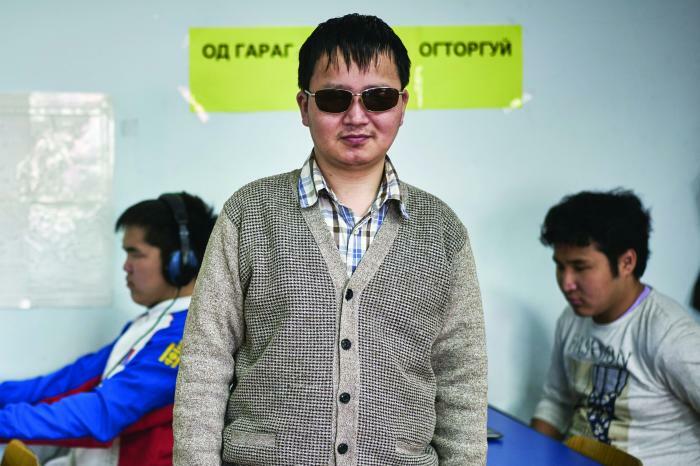 However, restrictive copyright laws hinder the library’s efforts to provide knowledge for Mongolia’s 16,500 blind and visually impaired people. In 2014/15, with support from EIFL, the Mongolian Libraries Consortium, in partnership with the Mongolian Federation of the Blind, led a campaign for ratification of the Marrakesh Treaty. The treaty creates an international legal framework that allows creation of accessible versions of copyrighted works and makes it possible to share them across borders. On 23 September 2015, Mongolia became the 10th country to ratify the treaty. Once the treaty enters into force globally and its provisions are incorporated in Mongolia’s copyright law, libraries can immediately start to provide accessible format copies, and obtain material from other countries. The Marrakesh Treaty has opened the doors of learning for blind and visually impaired people in Mongolia. In 2015 over 3,300 people were trained in copyright related topics across the EIFL network. In 2015 EIFL supported Marrakesh Treaty ratification campaigns in four EIFL partner countries. In 2015 10 new copyright resources in English, French, Serbian, Spanish and Russian were published online. 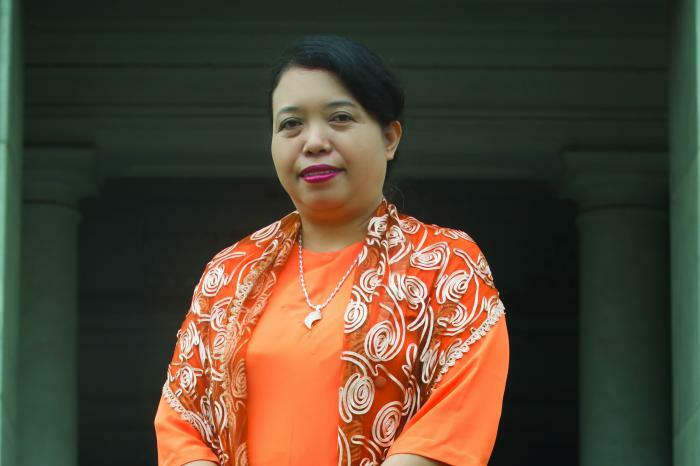 The vision of University of Mandalay, where Professor Dr Thida Win serves as Rector, is to strive to become the leading research university in Myanmar. This is no small task in a country that has very recently begun opening up to the outside world after decades of isolation – and is one reason why Professor Dr Win has embraced the concept of open access, which enables immediate, unrestricted and free online access to peer-reviewed research. In 2015, EIFL introduced the concept of open access to the university through a series of workshops. The university formed an open access working group whose first steps were to draft an open access policy and to set in motion processes for development of an open access repository. The repository will enable access to articles, books and monographs, conference proceedings, research reports, and final final copies of theses and dissertations. The open access repository will enable our university and researchers to establish new international and national research partnerships. 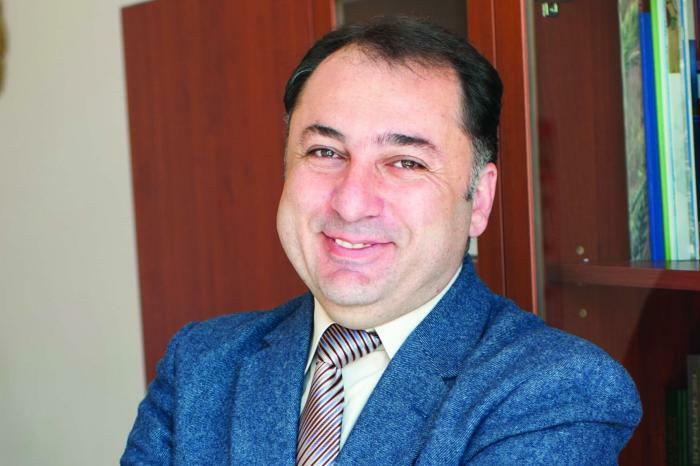 Dr Atom Mkhitaryan coordinates the work of the Supreme Certifying Commission (SCC) of Armenia, the body that awards PhD and Doctor of Sciences degrees in Armenia. To award degrees, the SCC must review all new theses and dissertations. The first step, Dr Mkhitaryan explains, is to delve into a database of over 18,000 dissertations to check for prior research. The process is slow because most of the dissertations are only available on paper, and – with new dissertations coming in at about 600 a year – there is intense pressure on SCC staff. So the SCC welcomed the opportunity to take part in an EIFL-funded project that, in 2015, led to the launch of the country’s first national open access repository of electronic theses and dissertations. “The value of the repository is incalculable. It speeds up our work, because we are now able to review dissertations online. Also, researchers will more easily be able to find prior work in their subject areas,” said Dr Mkhitaryan. From 2016, all new theses and dissertations will be deposited in the repository, which is managed by the National Library of Armenia. The new repository elevates Armenian science by making it visible to researchers in Armenia and other countries. In 2015 over 10,200 people were trained in open access topics across the EIFL network. In 2015 over 100 new open access repositories were launched in the EIFL network. The number of open access journals published in EIFL partner countries to date. Luka Milosevic is 19 years old and in the first year of a programming engineering course at a college in Belgrade, Serbia. Luka has always had a special interest in computer coding and was looking forward to his coding classes at school. However, his school had very little equipment for practical work, and so Luka found the classes uninspiring and was considering a future career in linguistics. When Luka heard that his local library, Public Library ‘Dusan Matic’ in Cuprija, was offering practical computer coding and robotics workshops, he was quick to sign up. The library’s Biblioteka++ project, started with support from EIFL, aimed to teach basic and advanced coding skills and encourage young people to take up careers in computer coding. To do this, the library organized practical extra-mural coding classes in the library and at schools. Luka found the practical application of technology inspiring, especially building robots and writing computer code to make them move. Once he’d learnt robotics, he progressed to learning the C++ programming language. “Programming is a good career choice and in the future I hope to study to doctorate level,” he said. I still visit the library and ask for help when I need support with my computer studies. George Ebo Brown loves teaching children: “Children are the future leaders. We really need to invest in children through their education,” he says. 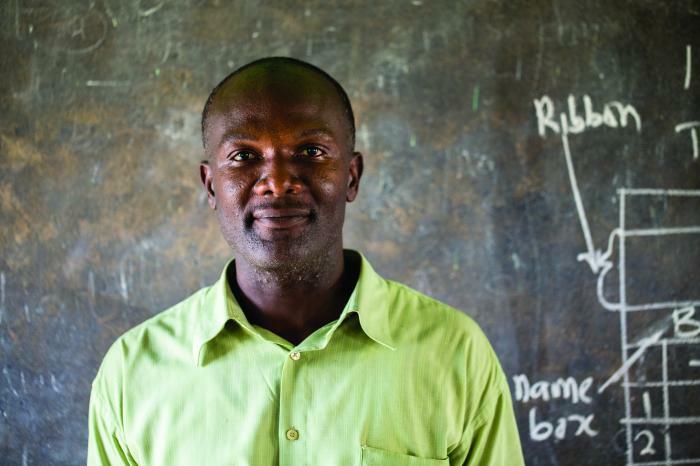 However, like thousands of information and communication technology (ICT) teachers at poor and rural schools in Ghana, he struggles to teach his subject. Failure has long-term consequences: most of George’s pupils come from fishing families that cannot afford to keep them at school when they fail. With support from EIFL, libraries in four regions of Ghana (Western, Ashanti, Upper East and Volta regions) are offering a solution. Every week four library vans equipped with internet connections and solar-charged laptops pre-loaded with educational material related to the school curriculum travel to 25 schools to support the children’s learning. Now that the children have laptops to practise on, many more will pass their exams. In 2015 over 6,800 children and youth learnt new skills and knowledge through public library projects supported by EIFL. In 2015 over 2,800 children attended hands-on computer classes offered by their regional libraries in Ghana with EIFL support. In 2015, EIFL built computer and e-literacy skills at 50% of all public libraries in Ghana, Kenya and Uganda.